Kurbat Afanasyevich Ivanov (Russian: Курбат Афанасьевич Иванов, (? – 1666) was among the greatest Cossack explorers of Siberia. He was the first Russian to discover Lake Baikal, and to create the first map of the Russian Far East. He also is credited with creation of the early map of Chukotka and Bering Strait, which was the first to show (very schematically) the yet undiscovered Wrangel Island, both Diomede Islands and Alaska. Kurbat Ivanov was born a Yeniseyan Cossack. In 1642 he made the first map of the Russian Far East, based on the explorations of Ivan Moskvitin. 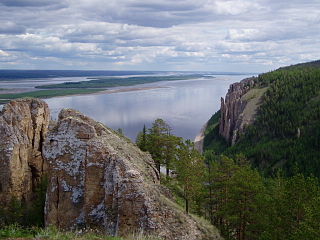 Ivanov came to the Verkholensky ostrog on the Lena River, and taking 74 men with him he sailed south up the river on 21 June 1643, having decided to find if the rumors of large body of water south of the Lena were true. He took with him a Tungus prince Mozheul to assist in finding the way. Through the upper Lena and its tributary the Ilikta they reached Primorsky Ridge, crossed it by foot, and by the Sarma River descended to Lake Baikal near Olkhon Island. Having built new boats, Ivanov sailed to Olkhon. Ivanov sent 36 men under the leadership of Semyon Skorokhodov to sail along the western shore of Baikal to the mouth of Upper Angara giving them another Tungus prince, called Yunoga, in assistance. Skorokhodov reached the northern tip of Baikal, built a winter settlement there and started to gather tribute from locals. In the end of 1643 Skorokhodov was returning south with the half of his men, but was ambushed by Arkhich Batur (probably a Buryat) and killed with some of his men. Twelve men managed to return to Verkholensky ostrog, while аnother two, named Lyovka Vyatchanin and Maximka Vyzhegchanin, traveled as far as Yeniseysky ostrog by Angara and Yenisey. The latter Cossack later returned to Baikal with ataman V. Kolesnikov. Kurbat Ivanov himself safely returned to Verkholensky ostrog by the same way he had come to Baikal. He created a document called "The Chart of Baikal and into Baikal flowing rivers and lands…" ("Чертеж Байкала и в Байкал падучим рекам и землицам"). He told the stories about plenty of fish in Baikal and plenty of fur-bearing animals on its shores, and many Cossacks subsequently came to Baikal by the way he explored. At some point of his life Ivanov also served on the lower Lena River in Zhigansk. In 1659—65 he was serving in Anadyrsky ostrog (he was the next head of Anadyrsk after Semyon Dezhnyov). In 1660 he sailed from Anadyr Bay to Cape Dezhnyov. On the basis of his own explorations, the explorations of Dezhnyov and Popov and the stories collected from the locals, Kurbat Ivanov created a map of Chukotka and Bering Strait, which was the first to show the yet undiscovered Wrangel Island, both Diomede Islands and even Alaska. However, all these lands except Chukotka coastline were shown so schematically that it is unlikely that Ivanov or other Russians had visited or saw them before. Only in 1732 Alaska was seen for the first time by the expedition of Ivan Fyodorov and Mikhail Gvozdev and it was documented. 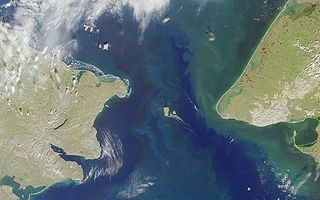 Wrangel Island was discovered much later. ^ "Иванов, Курбат". Словари и энциклопедии на Академике. Retrieved 25 November 2014. ^ "Тропою землепроходцев". Sbaikal.ru. Archived from the original on 24 August 2011. Retrieved 25 November 2014. ^ "Иван Юрьевич Москвитин". Sailhistory.ru. Retrieved 25 November 2014. ^ a b ":/ Unknown / TXT". Lib.co.ua. Retrieved 25 November 2014. Pyotr Beketov was a Cossack explorer of Siberia and founder of various fortified settlements in the region, which later developed into modern cities such as Yakutsk, Chita, and Nerchinsk. Anadyrsky District is an administrative and municipal district (raion), one of the six in Chukotka Autonomous Okrug, Russia. It is located in the central and southern parts of the autonomous okrug and borders with Chaunsky District in the northwest, Iultinsky District in the north and northeast, the Gulf of Anadyr in the east, Koryak Okrug in the south, and with Bilibinsky District in the west and northwest. It also completely surrounds the territory of the town of okrug significance of Anadyr. The area of the district is 287,900 square kilometers (111,200 sq mi). Its administrative center is the town of Anadyr. Population: 6,935 (2010 Census); 8,007 (2002 Census); 40,475 (1989 Census). Chukotsky District is an administrative and municipal district (raion), one of the six in Chukotka Autonomous Okrug, Russia. It is the easternmost district of the autonomous okrug and the closest part of Russia to the United States. It borders with the Chukchi Sea in the north, the Bering Sea in the east, Providensky District in the south, and the Kolyuchinskaya Bay in the west. The area of the district is 30,700 square kilometers (11,900 sq mi). Its administrative center is the rural locality of Lavrentiya. Population: 4,838 (2010 Census); 4,541 (2002 Census); 6,878 (1989 Census). The population of Lavrentiya accounts for 30.2% of the district's total population. Providensky District is an administrative and municipal district (raion), one of the six in Chukotka Autonomous Okrug, Russia. It is located in the northeast of the autonomous okrug, in the southern half of the Chukchi Peninsula with a northwest extension reaching almost to the Kolyuchinskaya Bay on the Arctic. 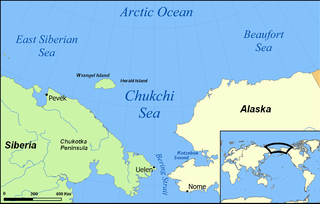 It borders with Chukotsky District in the north, the Bering Sea in the east and south, and with Iultinsky District in the west. The area of the district is 26,800 square kilometers (10,300 sq mi). Its administrative center is the urban locality of Provideniya. Population: 3,923 (2010 Census); 4,660 (2002 Census); 9,778 (1989 Census). The population of Provideniya accounts for 50.2% of the district's total population.